Found this in the trash a few years ago along with a huge stack of other old model sheets. 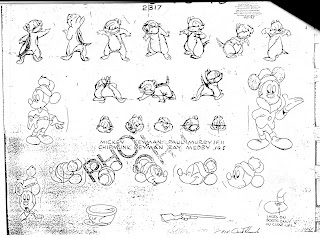 The only example of something Paul Murry made at the Disney studio that I've seen his name attached to. A fourth grade photocopy, but still better than nothing. Today I'm having a slight hangover.